Jayme Closs’s harrowing story of survival has captured the attention of the entire nation. The 13-year-old Wisconsin teen went missing almost three months ago on October 15,2018, after a cryptic phone call to 911 triggered a call from police to the Closs home where officers made a grisly discovery. Jayme’s parents, James and Denise Closs, were found shot dead and their 13-year-old daughter was nowhere to be found. The slaying of her parents and evidence of a home invasion qualified the missing teenager for an Amber Alert by authorities, and search efforts immediately began for Jayme as investigators began to piece together what had happened in those fateful moments. 87 days passed as Jayme’s anxious family and concerned friends waited for updates in her case. Then on January 10, 2019, Jayme showed up on the street in the remote neighborhood of Gordon approximately 70 miles away, asking a passing dog walker for help. 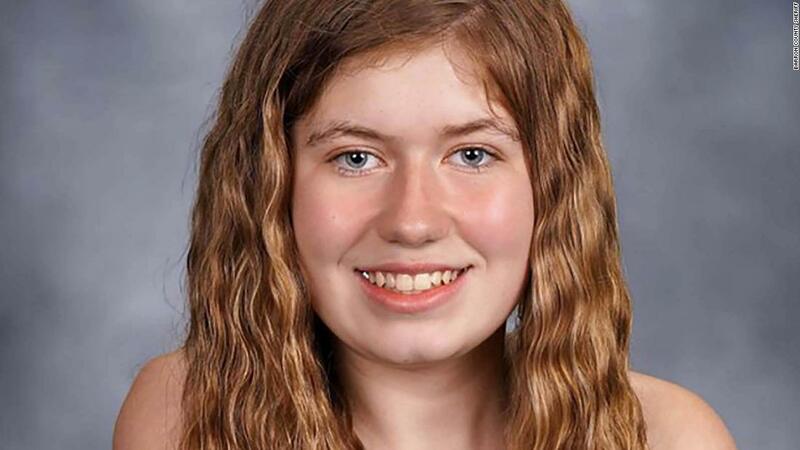 The woman grabbed Jayme and took her to a neighbor’s door, where she told the neighbor, “This is Jayme Closs, call 911!” Not too long after her reappearance, police were able to apprehend Jayme’s captor, 21-year-old Jake Thomas Patterson, who was found wandering the nearby neighborhood—likely searching for Jayme. Investigators say Jayme’s escape was one of the luckiest breaks they’ve ever seen in a missing person case. Jayme’s case is already being analyzed as atypical, due to the surfacing information that has investigators completely floored. When Jayme reappeared last week and told law enforcement about the details of her abduction and escape, many officials were surprised. Investigators told NBC 26, “Most abductions are committed by perpetrators who live within a couple miles of the victim.” Despite the distance from the Closs home, Barron County Sheriff Christopher Fitzgerald said he does not believe her kidnapper took her across state lines. With over 88 days’ worth of evidence to comb through, investigators will be attempting to track their movements since Jayme’s disappearance. There were many theories about the circumstances behind Jayme’s disappearance in the weeks right after she went missing. Law enforcement and citizens alike proffered it might have been a home invasion gone terribly wrong, but as of this week, Fitzgerald has stated Jayme was the only target in this crime. Once questioned by police following his arrest, it became clear Patterson had been watching Jayme for a number of weeks before he took her, but was scared off on both prior occasions. Patterson targeted Jayme and took great pains to ensure he would not be found out. He shaved his head to avoid leaving his DNA at the crime scene. Once he abducted Jayme, he took her clothes and destroyed the evidence. The criminal complaint filed by the Barron County District Attorney said Patterson first saw Jayme getting on the bus to school when he was passing by on his way to work. Sections of the complaint are enough to make one’s arm hair stand at attention, “The defendant states when he saw (Jayme) he knew that was the girl he was going to take.” Jayme also told investigators after Patterson placed her in the trunk of his car, she heard police sirens close by not long after Patterson began driving. After Jayme was found alive, the responding officers noted on their way to the Closs home on October 15th, they passed only one vehicle.